Premier Bowl & Laser is one of the leading leisure destinations in Southport. With bowling alleys and a laser zone, the complex includes something for the whole family to enjoy. You can book online here too AND food and drinks are also available, sounds like a great day out to us! 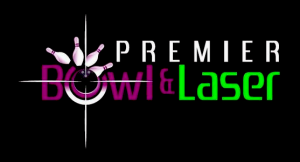 Please click on the links below to see Premier Bowl and Lasers seasonal offers. Make use of Premier Bowl and Lasers early starter offer. Starting from 3pm Monday-Thursday and 12pm Fridays, you can get: 2 hours of bowling, coffee, tea, or cordial and a choice of biscuits. All for just £7.25 per person!